The silicon vertex tracker is at the heart of the HPS experiment, providing information on the path the particles took through the detector. Understanding the structure of the nucleon and light nuclei, and how this can be described in terms of the strong interaction and spin degrees of freedom. These mission goals map to two of the top science questions for the 21st century: “What is Dark Matter?” (National Research Council “Connecting Quarks with the Cosmos: Eleven Science Questions for the New Century”, National Academies Press (2003)), and “What is the missing spin of the nucleon?” (Dr. T. J. Hallman, Associate Director for Nuclear Physics, DOE Office of Science, “Perspectives on the Future of Nuclear Physics in the United States”, BNL Distinguished Lecture Series June 13, 2012). 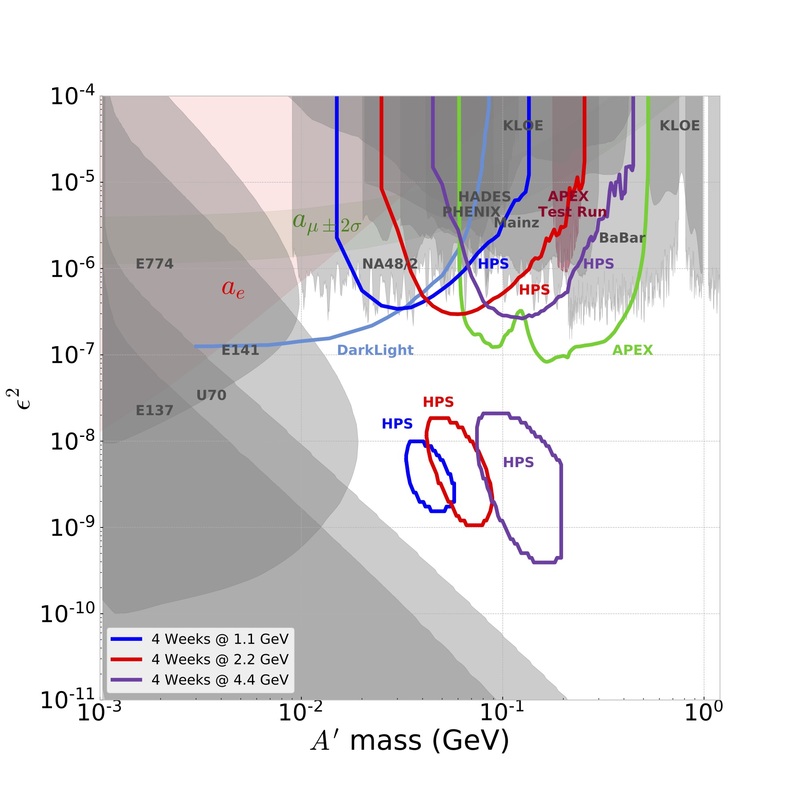 The Heavy Photon Search (spokesperson: Holtrop) will search for a new gauge boson –the heavy photon– as a potential particle in a hidden sector that could also contain the Dark Matter. The g2p experiment (spokesperson: Slifer) investigates the spin structure of the proton and how this affects the energy levels of hydrogen like systems. The Isospin SRC experiment (spokesperson: Solvignon, Slifer) will use a tritium target to probe how short-range correlations between nucleons affect the structure of nuclei. The Tensor Spin Observables at Jefferson Lab uses a novel tensor polarized solid target to measure observables that are impossible to measure without tensor polarization. The b1 experiment (spokespersons: Slifer, Solvignon, Long) recently recieved conditional approval from Jefferson Lab PAC40, as did the Azz experiment (spokespersons: Long, Solvignon, Slifer) to measure the tensor asymmetry in the x>1 region. The NPG has a major research initiatives in DeMeritt Hall. 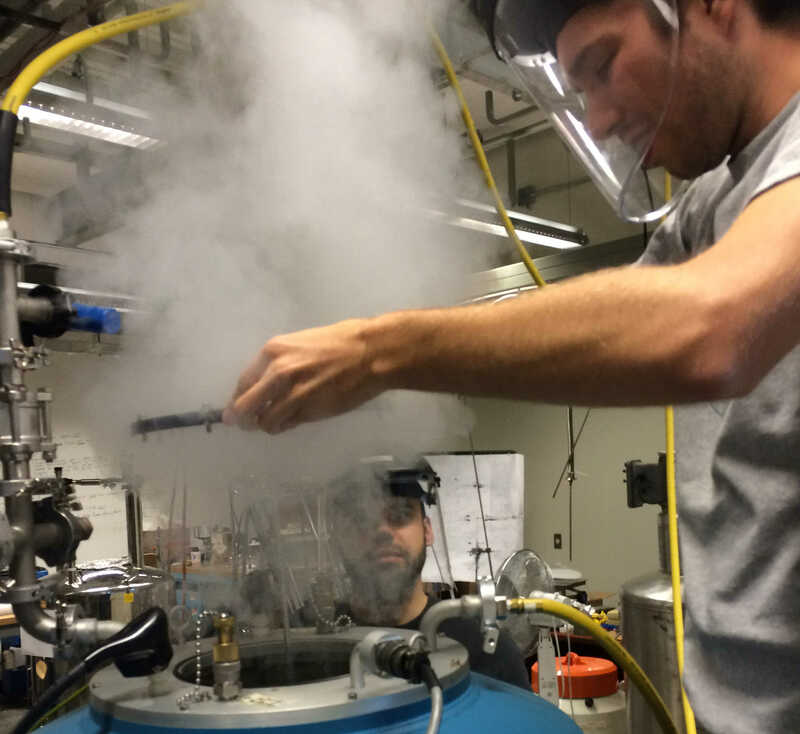 The group is establishing a cryogenically cooled solid polarized target lab in DeMeritt Hall 103 in support of the Tensor Spin Observables program. 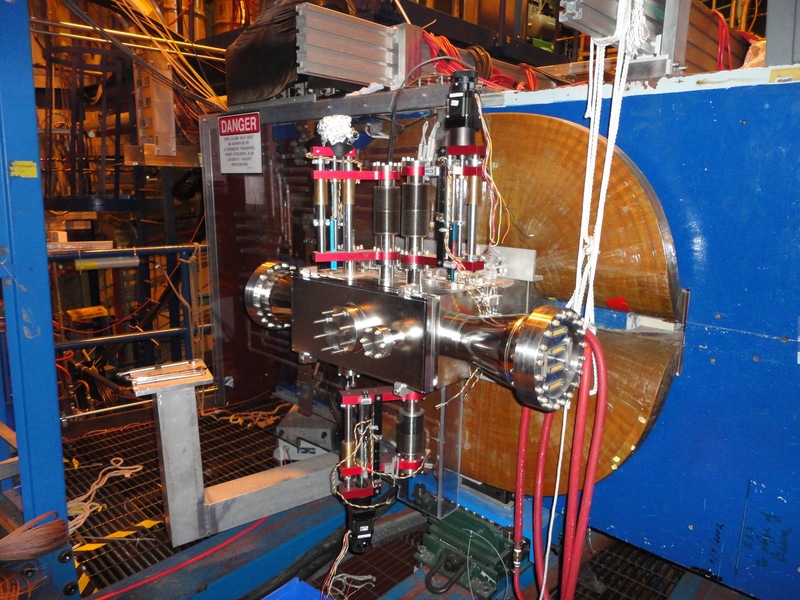 We recently installed our new 7 Tesla superconducting solenoid which provides the target holding field. This project is a collaboration with the University of Virginia and Jefferson Lab polarized target groups. The Nuclear and Particle Physics Group at the University of New Hampshire has an immediate opening for a post-doctoral research associate, who will be expected to take a leading role in the Heavy Photon Search (HPS) experiment at Jefferson Lab, Hall B. Read More about HPS. The successful candidate will have a PhD in nuclear or particle physics and will be expected to strongly contribute to the ongoing program, but is also encouraged to propose and initiate new experiments. Strong skills in data analysis and software development will be a plus. Depending on preference, the position can be located at UNH or at JLab. The group’s efforts are supported by the US Department of Energy. The University of New Hampshire is an equal opportunity employer. Candidates of both genders and all ethniticities are strongly urged to apply. The position is available immediately and will remain open until filled. Dr. Elena Long has joined the Physics Department and the Nuclear and Particle Physics Group at UNH in the Fall 2017. She has an active and growing research program at Jefferson Lab, which centers on a novel tensor-polarized deuterium target, which will be used in a number of experiments that seek to attain a deeper understanding of the structure of deuterium. Her work has been recognized with a JSA Post Doctoral Fellow Research Award and the JSA Promising Young Scientist Award, and was highlighted in the Department of Energy’s 2015 Long Range Plan for Nuclear Science. In her current post-doc position at UNH, she has already worked on the construction of the polarized target lab in DeMeritt Hall, and has mentored multiple graduate and undergraduate students. She has actively worked to improve the inclusion of under-served and under-represented students in the STEM fields. 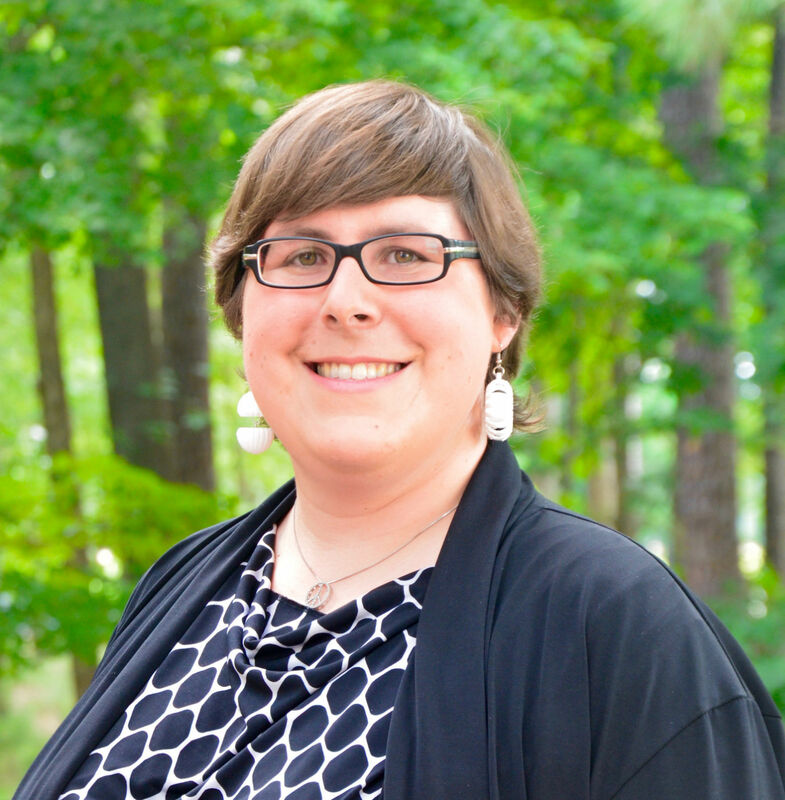 She served as the VP of Diversity and Inclusion with oSTEM, founded the LGBT+Physicists organization, served as a member of the APS Committee on LGBT Issues, and is the Chair in a developing APS Forum on Diversity and Inclusion. This work has been featured in Nature, Scientific American, Inside Higher Ed, and elsewhere. Photo credit: Kandice Carter, JLab.